John Vernon is an AV rated attorney who specializes in governmental compliance and international and domestic transactions. With over 30 years of experience, John represents clients in all stages of business growth, from Fortune 500 pharmaceutical companies to start-up research and development firms. Crossing national borders can be a harrowing process for growing businesses, but John has successfully ushered his clients through the expansion process to becoming multinational enterprises. With a thorough knowledge of the complexities of International Law, Antitrust, Franchise, Entertainment Law, and state and federal regulations, John is skilled at counseling clients through the legal system in a cost effective and time efficient manner. U.S. and foreign companies in defense of actions brought by the U.S. Customs Service for alleged violations of U.S. import and export laws. Major U.S. energy company in compliance planning for Foreign Corrupt Practices Act. Large U.S. equipment manufacturer in connection with preparation of compliance program for U.S. Patriot Act. Several major U.S. companies in relocating to Foreign Trade Zones and establishing in-bond warehouse and distribution programs. U.S. government contractor on trade related dispute with the U.S. Customs Service and the Department of the Treasury. Japanese automobile and truck manufacturer on reorganization of its U.S. dealership network and Federal Trade Commission inquiries. Multinational manufacturer with respect to alleged export violations, internal audits, compliance screening programs and ITAR and BXA “deemed export” issues. Aerospace R&D firm with respect to establishing an internal Export Control Compliance Program; negotiated government contracts with the U.S. military and prepared appropriate licenses vis-à-vis ITAR and EAR. Global pharmaceutical corporation in its internal investigation of possible Helm’s Burton and embargoed countries violations. Start-up R&D company in the classification of products and technology under ITAR, EAR and other export regimes, drafted Technical Assistance Agreements, and obtained export approval for seeking to export controlled products to sensitive destination. Represented a multinational hotel franchisor and an international language school in developing their Mexican franchise operations. Facilitated a large U.S. franchisor’s purchase of a 45% interest in its Mexican franchise. Represented major automotive distribution network in connection with acquisition of a franchising company for $5 million, and implementation of a retail all-battery franchise concept. Represented U.S. hotel franchisor in development and implementation of franchise systems, and related regulatory compliance in over 35 countries. Represented major U.S. software company in the establishment and organization of its Mexican subsidiary and negotiated all related software licensing agreements with third-party Mexican licenses. Represented large U.S. trucking company in its establishment of Mexican dealership network. Represented U.S. distributor of electronic components in the establishment of its Mexican subsidiary. Represented major U.S. watch manufacturer in negotiations of a joint venture and licensing agreement with a large Italian clothing company to co-brand high-end watches for international sale. Represented major U.S. textile company in the establishment of its Mexican maquiladora facility and its distribution network. Represented large U.S. direct selling company in connection with the establishment of Mexican and Latin American direct-selling network. Represented major U.S. automobile manufacturer in connection with the establishment of its Mexico dealership network and franchise sales program. Represented large U.S. pizza company in connection with its co-branding program with a major U.S. retailer in Mexico. Assisted large UK liquids company in multimillion dollar nitrogen injection program in Mexico. Represented global partnership in restructuring debt and project development for real estate project in Malawi, Africa. Represented major Japanese construction company in connection with its bid on BOT project for U.S. airport facility. Represented U.S. REIT in the acquisition and development of Mexican resort properties in Cancun and Acapulco. Negotiated LNG “splitting contract” and “ethylene cracker” facility agreement for U.S. subsidiary energy company. Drafted framework deal for engineering studies for domestic power generation facility. Represented multinational oil company in connection with the privatization of 3,200 PEMEX gas stations in Mexico. Represented U.S. oil and gas company in connection with the privatization of CNG in Mexico. Represented major U.S. energy company in connection with the privatization of gas and electricity concessions in Mexico. Establishment of manufacturing and warehouse facilities in Mexico for large U.S. clothing company. Managed international oil-services corporation’s acquisition of a drilling fluids plant in Mexico. Advised multinational oilfield supply and services company with 12 Mexican subsidiaries in Mexico and Venezuela on its numerous cross-border transactions. Represented a multinational energy company headquartered in Dubai with annual worldwide revenue of approximately $300 million in the restructuring of its Mexican operations and establishment of a new distribution system. Represented Mexico’s largest entertainment company in connection with a joint venture relationship with major New York media company for U.S.-Mexico sports and entertainment tours and concerts. 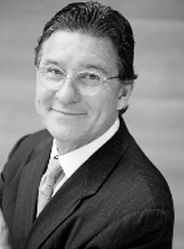 John is a recognized speaker and writer on topics of Hospitality Law, Franchising, and International Business Law. He has published in Texas Lawyer, The Enterprise, and Franchise Times. He routinely speaks before his peers at International Bar Conferences, and at International Franchise Association (IFA) Conferences. Hot Topics in Customs and International Trade Compliance, International Tax Forum of Houston, June 5, 2014. Hot for Hotels, presented at the International Bar Conference in Buenos Aires, October 12-17, 2008. Doing Business in Europe, presented at the 6th Annual Hospitality Law Conference in Houston, Texas, February 11-13, 2008. Hotel and Casino Development, presented at the International Bar Conference in Singapore, October 14-19, 2007. Putting on the Ritz or Heartbreak Hotel, presented at the University of North Texas, SMHM 3200 Hospitality Industry Law Conference, April 12, 2007.
International Condo Conversions, presented at the 5th Annual Hospitality Law Conference in Houston, Texas. February 8, 2007. Hotel-Condo Conversions in the New Europe, presented at the 2006 International Bar Association conference in Chicago, Illinois. September 17-22, 2006. Franchising Hotel Real Estate Purchases: Legal and Commercial Terms presented at the Legal Strategies and Opportunities for doing Business in Mexico Conference in Los Cabos, Mexico. April 4-6, 2006. The International Perspective on Hospitality Legal Issues at the 4th Annual Hospitality law Conference in Houston, Texas. February 2, 2006. Franchising 101, presented at the Park City Bar Association. November 2005. Cross Border Acquisitions of Franchise Systems, presented at The 2005 Conference of the International Bar Association in Prague, Czech Republic, by John M. Vernon. September 25-30, 2005. Hotel Expansion in Eastern Europe, presented at The 2005 Conference of the International Bar Association in Prague, Czech Republic, by John M. Vernon. September 25-30, 2005. Dealing With Problems in International Franchise Relationships, presented at the IBA/IFA Joint Symposium on International Franchising in Washington, D.C., by John M. Vernon. May 2005. Franchising and Distribution, presented at the State Bar of Texas conference in Austin, Texas, by John M. Vernon. December 9-10, 2004. News from Around the World, presented at The 2004 Conference of the International Bar Association in Auckland, New Zealand, by John M. Vernon. October 24-29, 2004. Practical Strategies for Resolving Disputes Arising from International Projects, presented at the International Project Development Conference in Houston, Texas, by John M. Vernon. September 23-24, 2004. The Madrid Protocol – 7 Months of U.S. Experience, presented at the IBA/IFA Joint Seminar on International Franchising in Washington, D.C., by John M. Vernon. May 2004. How to Save Money in Lease Negotiations, presented at IFA 44th Annual International Franchise Convention in Las Vegas, Nevada, by John M. Vernon. March 2004. Franchising in the Hotel Industry, presented at The Lodging Conference 2003 in Phoenix, Arizona, by John M. Vernon. October 2003. Acquisition of Real Estate in Mexico, presented at the How to Buy Real Estate in Mexico Conference sponsored by The Park City Board of Realtors in Utah, by John M. Vernon. September 26, 2003. Franchising in the United States: Land of Opportunity, presented at the 2003 Conference of the International Bar Association, by John M. Vernon. September 14-19, 2003. Franchising in the United States: Land of Opportunity, presented at the International Chamber of Commerce – Mexico, by John M. Vernon. September 3, 2003. Anatomy of an International Franchise Divorce – Last Tango in Minneapolis, Presented at the 19th Annual Conference The Increasing Globalization of Franchising sponsored by the International Bar Association on Business Law and the International Franchise Association, by John M. Vernon. May 14-15, 2002. EU-Free Trade Agreement with Mexico and its impact on franchising in the Americas, presented at International Bar Association 2001 Conference, by John M. Vernon. September 2001. Franchising in Mexico – 2001, presented at North American International Trade Corridor Partnership Conference, by John M. Vernon. May 2001. NAPSTER: Interpreting Copyrights in Cyberspace; a Childhood Nickname Gone Awry, presented at ALFA International Meeting of European Firms, by John M. Vernon. May 2001. Innovative Strategies for Entering Foreign Markets, presented at The University of Texas School of Law Third Annual Telecommunications Law Conference, by John M. Vernon. March 2001.
International Franchising – Cross-Border Acquisitions Franchise Systems, presented at International Bar Association 2000 Conference, by John M. Vernon. September 2000. Changes to Franchising in Europe Following the New Block Exemption, presented at International Bar Association Section on Business Law and the International Franchise Association 17th Annual Conference, by John M. Vernon. May 2000. As a leader in the field of franchising and governmental compliance, John takes giving back to the community seriously. John shares his expertise as an adjunct professor at SMU’s Dedman School of Law, where he teaches a course in International Franchising & Distribution Law. John participates in the ABA committee on Franchising, the State Bar committee on Intellectual Property, and is Chair of the International Bar Association’s Electronic Entertainment and Online Gaming Committee. Member of Board of Boys & Girls Clubs of Greater Dallas, Inc.